A Service Management team of 32 provides ITSM support to the charity’s staff and volunteers across the UK. That includes everyone working in more than 600 retail outlets as well as customers working from remote locations. Barnardo’s goal was to improve their customers’ service desk experience. Using a Continuous Service Improvement Register to shape the ITSM specification, Alemba supported the Service Desk team in a hands-on, clean installation and configuration of Alemba Service Manager. The collaborative nature of the upgrade alongside a campaign to improve the service team’s understanding of the customer experience, has significantly improved the charity’s targets for customer engagement and has enabled Barnardo’s to achieve a 3-star rating in its SDI audit. Circa 600 shops plus offices throughout the UK and an HQ in Essex. Six months from initiation to transition phase. If you can't view this video, your browser does not support HTML5 videos. In late 2014, the charity identified a significant opportunity to improve the effectiveness of its Service Management capabilities. The legacy ITSM system, Infra8, was limiting the team’s ability to improve workflows. More specifically, users were often left uninformed of progress and communication was manual and ad hoc. James Pitt, IT Service Director, led the team in establishing a Continuous Service Improvement Register focused on improving their customers’ experience. This schedule of improvements was critical in shaping the charity’s specification for an improved, flexible and cost effective ITSM solution. The team set tangible and stretching targets for an ITSM system upgrade. The target for user adoption of the new Customer Portal was set at 30%. Customer experience would be regularly measured through customer feedback surveys. It was also vital to have an ITSM solution that would support users in the event of major incidents. SDI (Service Desk Institute) Audits would provide an external perspective on the charity’s Service Desk capabilities. Achieving a strong SDI rating would be motivating for the Service Desk team as well as providing an objective performance measure on Barnardo’s investment in its ITSM. “We wanted our team to increase its’ capabilities and to blend the configuration with our training needs. Alemba was already familiar with this approach. We had the positive feeling of playing an active part in the project, while Alemba guided us down a well-trodden path. A traditional ‘out of the box’ specification would have included an early assessment of required and desirable features accompanied by a schedule of installation and configuration requirements and a roll out of training seminars. Each phase of enablement workshops had a knowledge transfer component where Alemba’s project manager explained the section of the system, performed partial configuration and ensured that Barnardo’s had the knowledge to continue and complete the configuration. This gave the Service Management team the opportunity to learn the configuration as it was being built, understand the implementation and have hands on experience of the system. Ultimately, this approach aimed to reduce TCO (Total Cost of Ownership) by enabling Barnardo’s to configure the system to match it to the on-going needs of the business. With two to three workshops running every week for six weeks, Barnardo’s was able to rigorously interrogate and streamline its own processes. James Pitt says, “This was a more satisfactory and deeper learning experience than traditional training and ensured that Barnardo’s would use every relevant feature and facility that Alemba Service Manager has to offer. Alemba supported the charity with a clean installation of Alemba Service Manager. This gave all the benefits of working with a brand new system free of legacy content or processes. The workshops were extremely productive in terms of developing previously unused features. The Service Desk team had been able to develop new processes and workflows for Alemba Service Manager’s problem management and change management. Other features such as Customer Surveys and Service Level Management were configured to reflect Barnardo’s goals for improvement. Barnardo’s selected data from the legacy knowledge bank for cleaning and migration to the new system ensuring that IT officers could continue to access relevant data. Six months after the project start date, Barnardo’s launched its Alemba Service Manager system to run in parallel with the legacy system, Infra v8 for approximately one month. Barnardo’s team made an exceptional job of closing down the old system. They maintained a sharp focus on delivering a fast turn around on a high volume of calls, most of them with a short lifespan. Old calls were dealt with and closed within Infra v8 while new calls and requests were logged in Alemba Service Manager. This approach enabled Infra v8 to be put into a read-only state for six months following the end of the transition phase before finally being decommissioned and the data archived for historical trending. The enablement workshops had generated a strong sense of ownership among the IT officers for Alemba Service Manager. The entire team demonstrated a very positive approach to launching and implementing every aspect of Alemba Service Manager from day one of its launch. Barnardo’s service management team put a spotlight on their communication skills and made a strategic decision to be as open and communicative as possible in all areas of Service Desk activity. Alemba Service Manager’s email and reporting functions have been applied rigorously throughout all workflows. A low cost of ownership – the workshop approach has allowed the IT team to continually improve the system with little or no involvement from Alemba. Where consultancy advise is required, the team is able to specify time and outcomes with greater accuracy and certainty of results. Awarded a 3★ rating in its SDI audit – in the first audit following Alemba Service Manager’s installation, Barnado’s moved from unaccredited to 3★ status. This is the greatest improvement in ITSM systems and processes that SDI had seen in such a short period of time. The effective use of the customer portal supported Barnardo’s strong SDI Audit scores. Before the Alemba Service Manager installation, customer experiences of the Service Desk required improvement. With full functionality, increased communication and an improved understanding of the customer experience, Barnardo’s have increased response rates to customer feedback surveys. The challenge for the team is now to refine the questions asked in order to identify areas for future improvement and innovation. The Service Desk team will continue to regularly survey customers’ for their views, as even small movements and changes within an overall strong set of results will indicate areas that need attention. 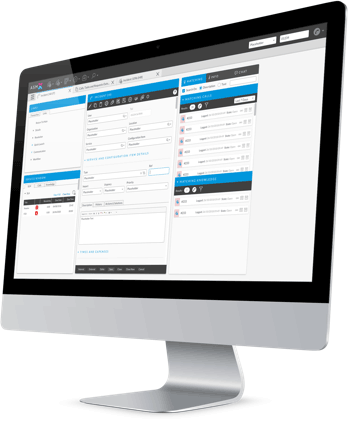 Alemba Service Manager is a flexible ITSM platform and there are further Service Desk processes that offer the potential for automated workflow and communication. Barnardo’s has incorporated automated authorization emails for IT and line manager approvals. These workflows will also extend to direct order confirmations to selected external suppliers. Further testing and collaboration with key suppliers is planned as Barnardo’s heads towards zero-touch purchasing for pre-authorized IT commodities. The Service Desk team is preparing customer-facing knowledge articles for sharing during the Incident logging process on the Portal. Work is underway to enable Alemba Service Manager to generate prompts to read relevant Knowledge Base articles during the logging process so that customers have early, direct access to solutions.